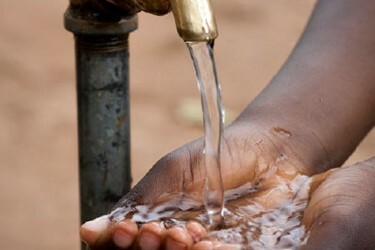 Arsenic is a global environmental health issue. Since it was recognized in the nineties many techniques have been developed on the remediation on arsenic contaminated drinking water. Solving people’s exposure through drinking water to arsenic is, however, a complex problem. Rural communities with an income level of less than $4 per person per day that rely on decentralized arsenic removal technologies, are still facing the same problem as thirty years ago. Many of the technologies have drawbacks and are not feasible at a household level. In order to achieve structural impact not only the technology is going to decide whether a treatment technique is feasible. This paper looked at the viability of decentralized treatment technologies by including an institutional, social, financial and technical analysis. It turned out that many of the available technologies have disadvantages that relate to the context of people having an income level of less than $4 per person per day. Existing technologies are not making structural sustainable impact, as they are not properly adapted to the context of these people. The key to an arsenic resilient society is that a treatment solution should be owned by someone who is able to adequately deal with it under sustainable financial circumstances. Further research and projects on arsenic treatment solutions for people living with an income level of less than $4 per day should question themselves whether they should look for decentralized or central solutions.